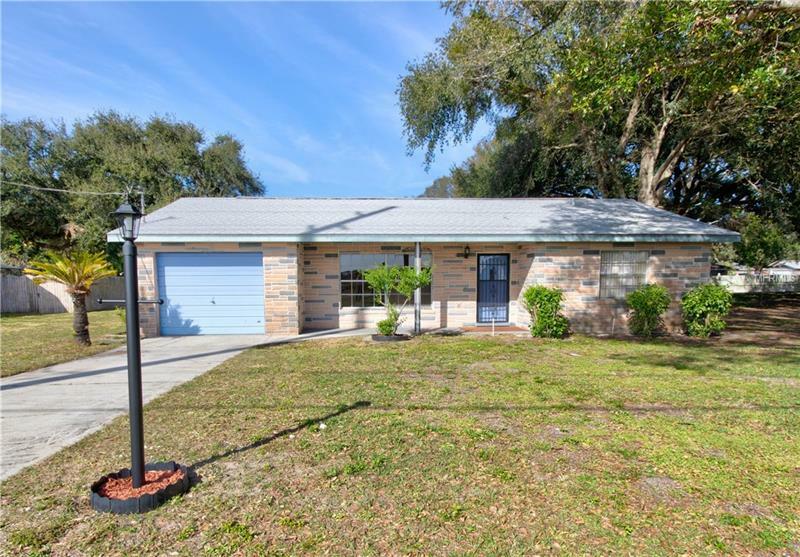 Don't miss this spacious three bedroom two bath split floor plan home in Auburndale just minutes from I-4. Perfect for the commuter to Tampa or Orlando. This home has been well maintained and is ready for you to call it home. The kitchen is perfect for family gatherings with its built in breakfast bar. Just out of the sliding glass door is a patio with plenty of shade from a large oak tree. In addition to the attached one car garage there is a large detached workshop that has a two car garage with plenty of storage for tools and toys. Walking distance from the house is the community pool, basket ball, and tennis courts.